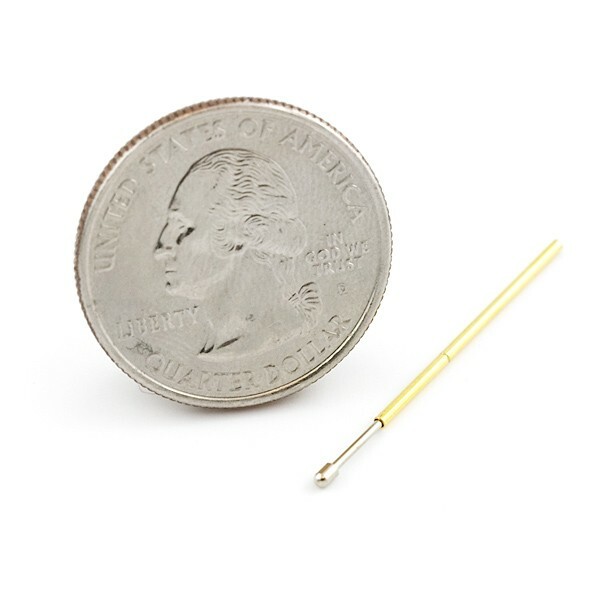 These 33mm (1.3") spring loaded pogo pins are great for programming and applications where you don't always want headers soldered onto your boards. We use them for our programming jigs in production. The pins fit snugly into most standard perf board holes. Solder them just like you would normal wire.